An enjoyable, effective and comprehensive correspondence course that will help you prepare you for your English Language IGCSE exam while enjoying the process. Choose from three exam specifications. Who is this course for and what’s it about? The IGCSE English Language course doesn't presuppose you have any prior knowledge about English, apart from the having reading and writing skills of an average 12 – 13 year old. However it will show you everything you need to know in order pass the exam in about 8 - 18 months (based on the average time taken by most students). Unlike some correspondence courses which can be quite dry in tone, this course reflects the joy in learning, which I feel should be part and parcel of any English study and should (I hope!) enhance a lifelong love of reading and even writing. The course consists of 10 chapters, (11 for the CIE course) and they cover all the reading and writing tasks you will need for the exam, such as comprehension, composition and creative writing. I give plenty of practical guidance, together with short exercises to test your learning. I'll also tell you all about exam technique. There is a mock exam included in the course and the option of doing extra past paper practice. As with all my courses there is unlimited (within reason!) phone and email support. As soon as you apply you will receive a welcome email and a link to enable you to download the full course in PDF format. However there is also the option to purchase the course as a printed book if you prefer. 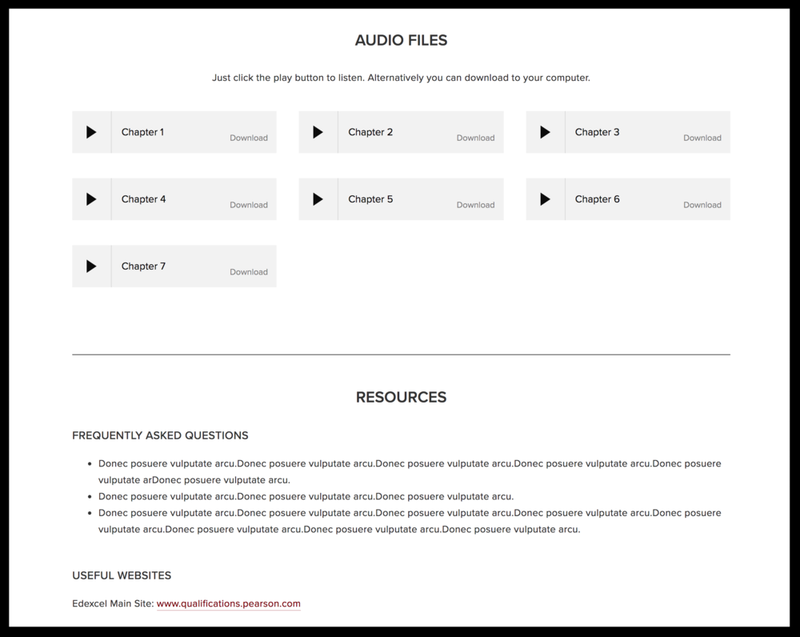 In addition to the course materials you will have access to a complete audio version of the course in MP3 format. There is also a comprehensive range of additional materials to support your study, including Punctuation Pages and a fully annotated version of the anthology (for the Edexcel Spec A course). By the time you take the exam you will have had good, solid practice and feedback in each of the exam tasks - hopefully you will have enjoyed the process, too! When parents ask me for guidance about IGCSE English Language specifications, they are often overwhelmed by the choice. I totally understand - all the different exam boards and specifications can make the choice seem overwhelming - but it is much more straightforward than it first appears and I’ll do my best to guide you (please pick up the phone or email me if you need guidance - I’m here to help!). The important thing to bear in mind is that the exams are 80% identical to each other so it’s no big deal if you want to swap. The second thing to remember is that if you want to swap specs for any reason you can do so very easily - I can transfer you from one to another (depending on where you are up to in the course, there might be a small additional fee). But here is the low-down on the specification. A short anthology needs to be studied before this exam. However two pieces from this anthology are featured in the exam and are reprinted in full in the paper. This takes a big unknown out of the exam. You do need to be familiar with the anthology so this is not necessarily a good choice of spec if you want to take the exam in a hurry. The first third of the paper has some relatively straightforward questions. At three hours, it is a long paper. Also because of the ease of some of the questions on Section A, the grade boundaries are less lenient (so you need to achieve more to get a Grade 4 than you would in Spec A). Very straightforward with clear guidelines for the exam tasks. CIE is more focused on factual writing. There is no poetry or fiction. This can suit some students. The disadvantages are the flip side of the advantages. Some students like fiction and a bit of poetry, and prefer exam questions that are less prescribed. It’s best to look at past papers to see if this would suit you. My 15 year old daughter started Catherine Mooney's English Literature & English Language courses last September & got A grades in both this June. We found the courses very straightforward & easy to follow & it was reassuring, having just started with formal home education, to have tutor support & marked assignments so that we knew we were on the right track.